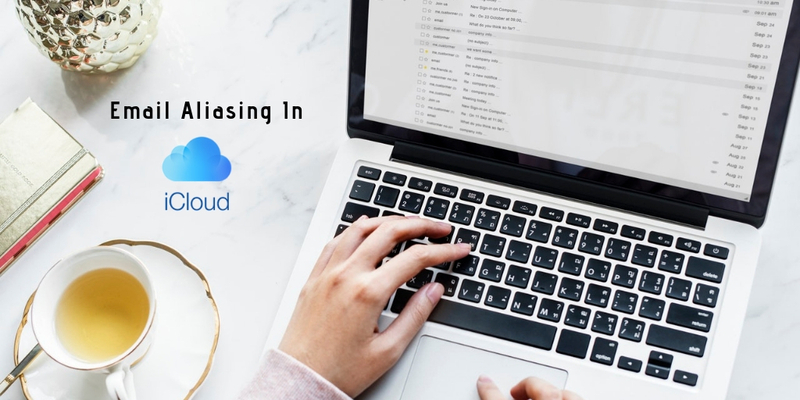 An email alias in iCloud can help you manage the emails that you receive, inspect the sources of unwanted emails and conceal your actual iCloud email address while signing up for mailing lists or posting comments. In short, if you don’t want to give your true email address to the recipient for any sort of subscriptions or registrations, you can use aliasing in iCloud. So in this way, it safeguards your account against all sorts of potential threats looming across the internet. Not only that, through aliasing, you can also send/receive messages from an email alias using Mail on iCloud.com. In this blog, you’ll get to know how to set up and use iCloud email aliases to disguise your iCloud email address while concealing the real one. So here’s how you can set up and manage iCloud email alias on your Mac, iPhone or iPad. You may also like How To Retrieve Your iCloud Data On MAC or Windows PC. Creating an iCloud email Alias can be a bit tricky if you’re doing that for the first time. First and foremost, you can’t just do that on your iPhone or iPad. Of course, new iCloud accounts can be created quite easily on all the iDevices. But to create an email alias, you’ll have to use a Mac. 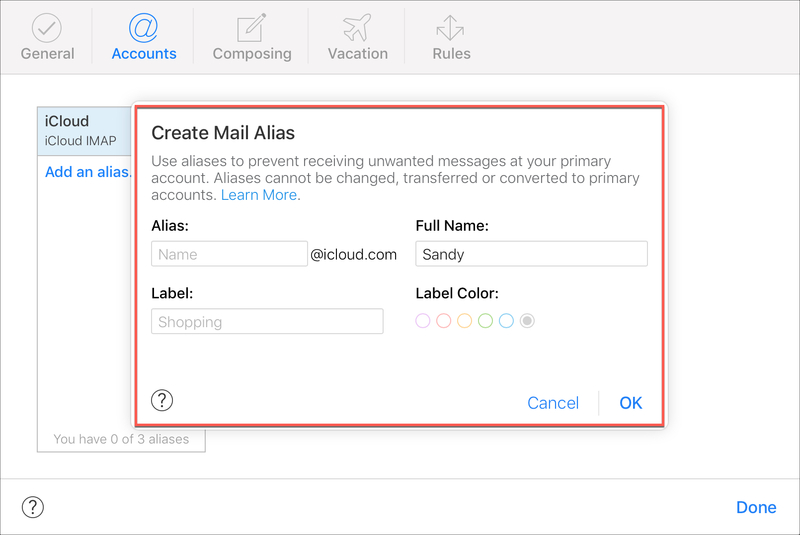 Given below are the steps that help you create and manage an email alias on iCloud. Go to iCloud.com and sign in to your iCloud account through your Apple ID. Go to Mail and click the Settings button (Gear icon) on the top-left. From the pop-up window that appears, click Accounts. Click on Add an alias. 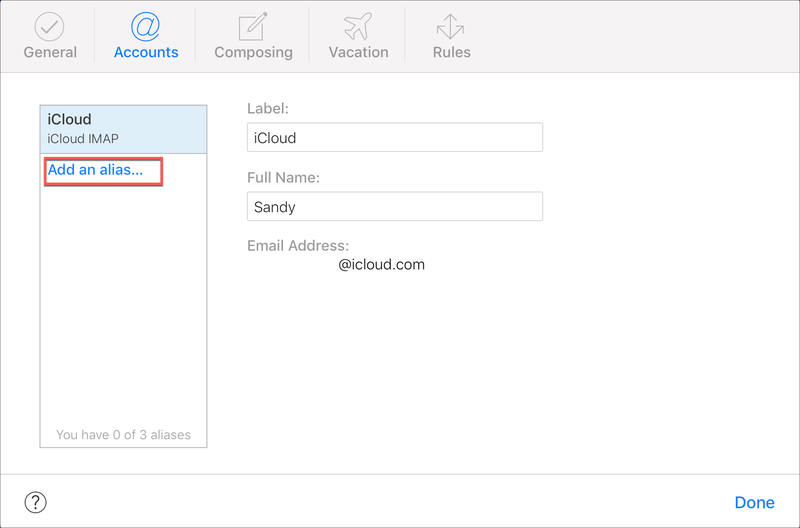 Enter an alias of your choice for your iCloud email address by adding your full name. You can also choose a Label if you want to and click OK.
A message will appear showing that your Email alias is created. Click on Close on the bottom right and then click Done to return to the inbox. So that’s how you create an email alias on iCloud. Once it’s created, you can use this alias email address whenever you like. To know how to disable an email alias, read here.